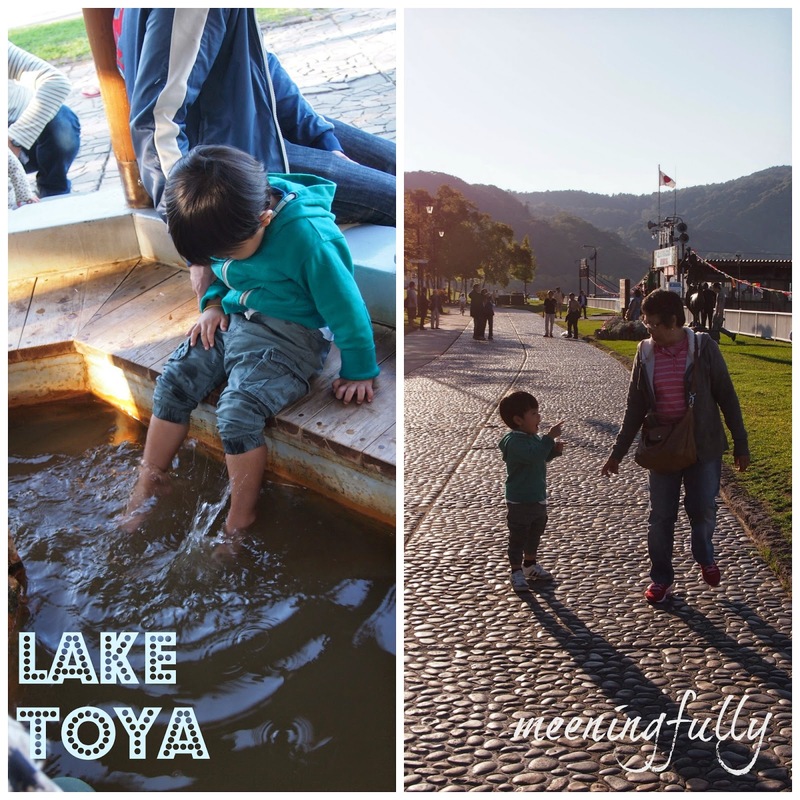 Here's the 3rd and last installment of our holiday to Hokkaido last September, which was also the furthest we have travelled with the boy. A pocket bursting trip as well, setting us back quite a bit since we had both grannies on the trip as well. Day 4: First stop for the day was Ainu Village and Museum. Ainus are an indigenous group of people in Japan with some Russian heritage. The village has a couple of huts, similar to houses of the Ainus many decades ago. Rich in history, we were treated to a performance that reflects the culture of the more modern Ainus. While many tourists were entertained by the performance, Papa, me and the boy took greater pleasure by spending time roaming within the Ainu Village compound. As it was only the beginning of Autumn, the trees don't really carry the autumn hues except for this one tree in the village (picture on the top right). The vibrant red set against the clear blue sky and deep blue water from the lake was such a pretty picture composition. 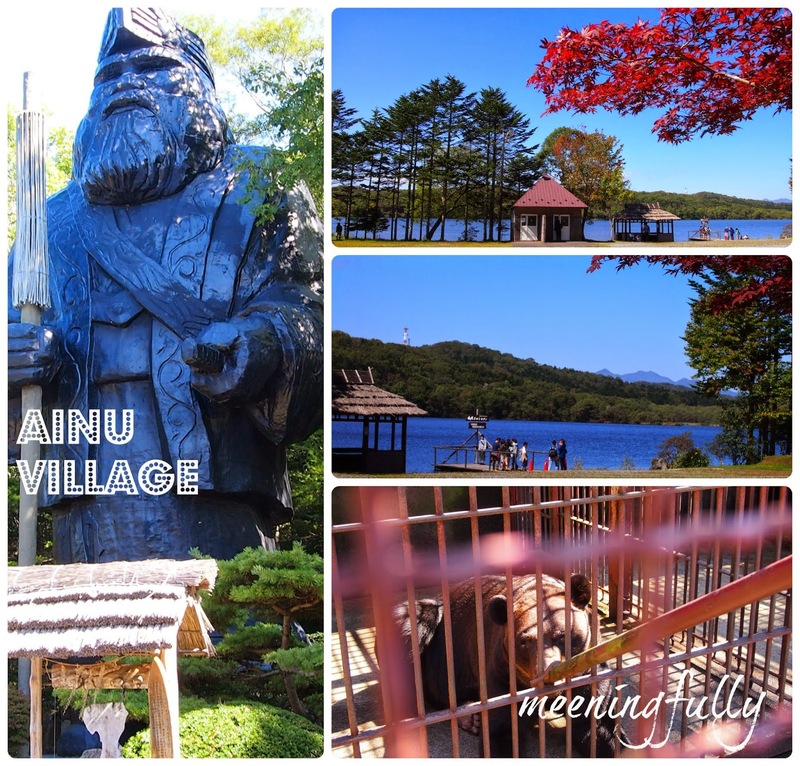 The part of the village that we spent a considerable amount of time was the animal cages where we were able to feed some huge black bears as well as watch the snow white ainu dogs go about their day. Well, where there are animals, you can be sure to capture the attention of the our little boy. Next up was a stop at a fruit farm. 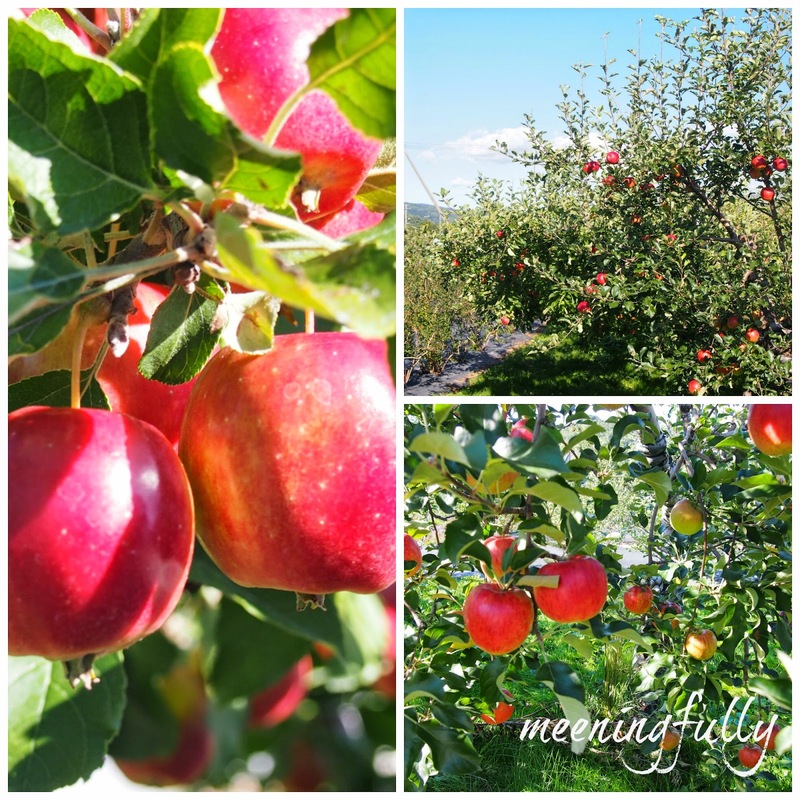 Autumn is the season for apples in Hokkaido, and look how pretty and inviting they are, waiting to be plucked. And… plucked we sure did, and packed bags of them back. The applies were huge, super sweet and juicy. We not only got to pluck them, and eat them on the spot! 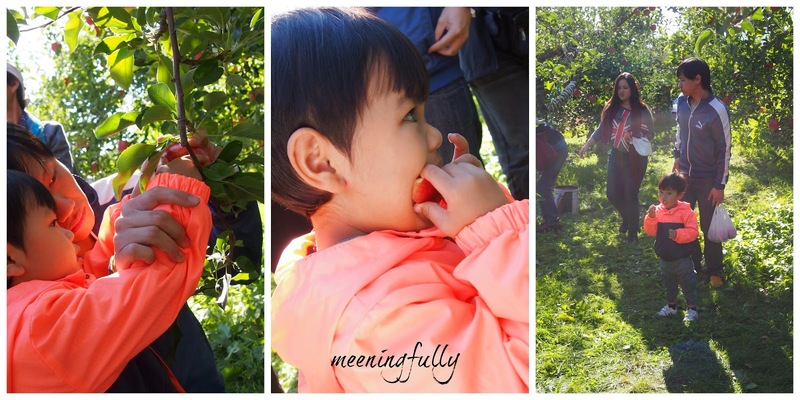 It was this trip that J learnt to eat apples skin on. 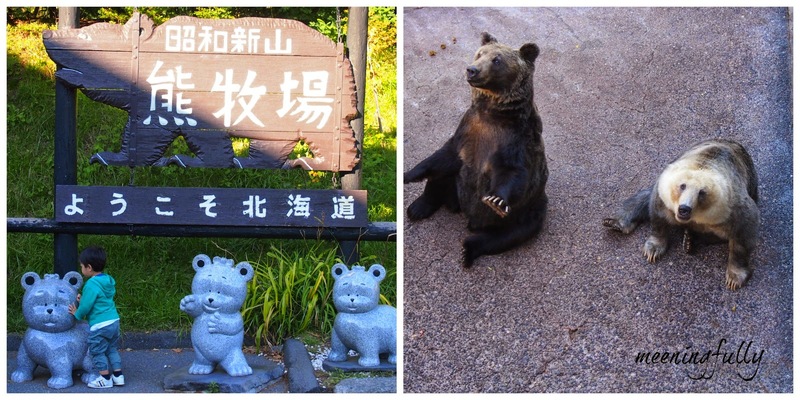 More bears as we visited Noboribetsu Bear Ranch. There were apparently over 120 bears roaming around. These bears are use accustomed to visitors throwing cookies and apples at them that most will look at you with arms reaching out as if asking you to "Please feed me…please feed me!". 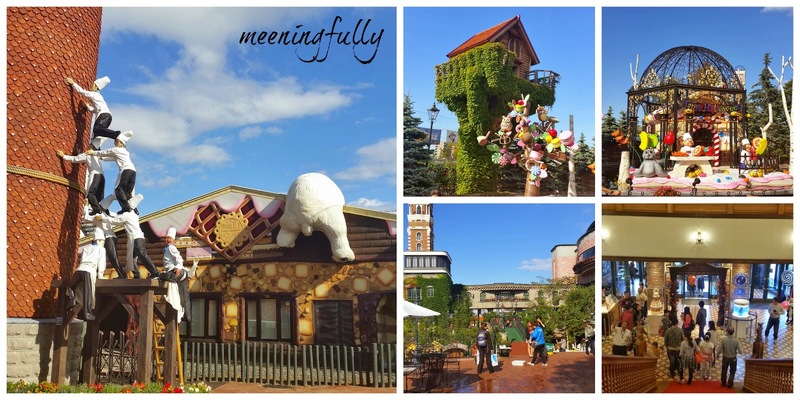 The one thing that people will always bring back from Hokkaido is the famous chocolate biscuits, Ishiya or better known as 白色恋人。 This is their whimsical looking factory with fun rides, and other kiddy play areas. Too bad for the little one who was napping when we arrived at the factory. Pitstop at Lake Toya where we soaked our feet in the hot spring by the lake. J had to join in the fun. And, I love the picture of J having a conversation with Grandma. Two of the most important people in my life. We also made a quick stop at Hell Valley, which is a sulphourous boiling pond, so expect really pungent fumes as you go close to explore. Apparently, there is a route to track which I think would be nice for a stroll if we were not hard pressed for time. Day 5: It was a morning spent at Edo Wonderland where visitors get to travel back in time to the Edo period of Ninjas and Geishas. There are a couple of stage performances which were very entertaining. The Ninja show went on for a good 30 minutes, which J at the age of slightly above 2 was able to stay attentive throughout. The rest of the day was spent at Sapporo shopping before we prepared for a full day of traveling back to Singapore. That concludes our trip to Hokkaido. I am pretty sure we will visit again… perhaps when it's winter. If we do find our way here again, it will definitely be a self-drive. Less rushing, more of soaking in the culture and nature. 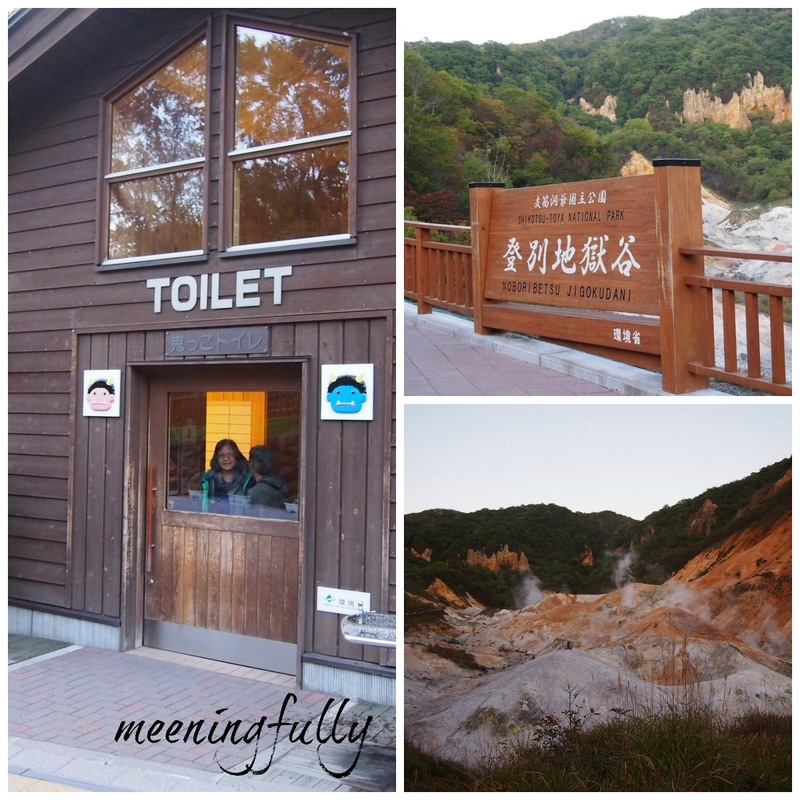 Here's Part 1 and Part 2 of our trip.